In just a few weeks, Essley heads back to school. (And in just a few months, we register Emmett for preschool for next year which is mind boggling on so many levels – but we’ll save that for another post.) 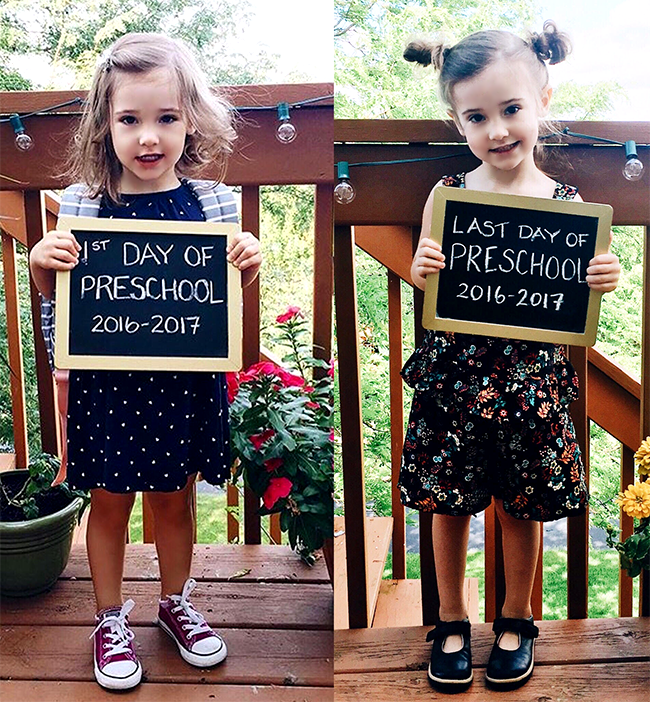 Last year was Essley’s first year of preschool, which makes this the first official summer break we’ve experienced. And we’ve enjoyed every minute of it, from the travels to the pool and beach days to the late night ice cream runs to the overall freedom that comes with a lack of schedule. As summer break winds down, we’re all getting excited – and admittedly a little nervous – about jumping back into the routine of a school year. 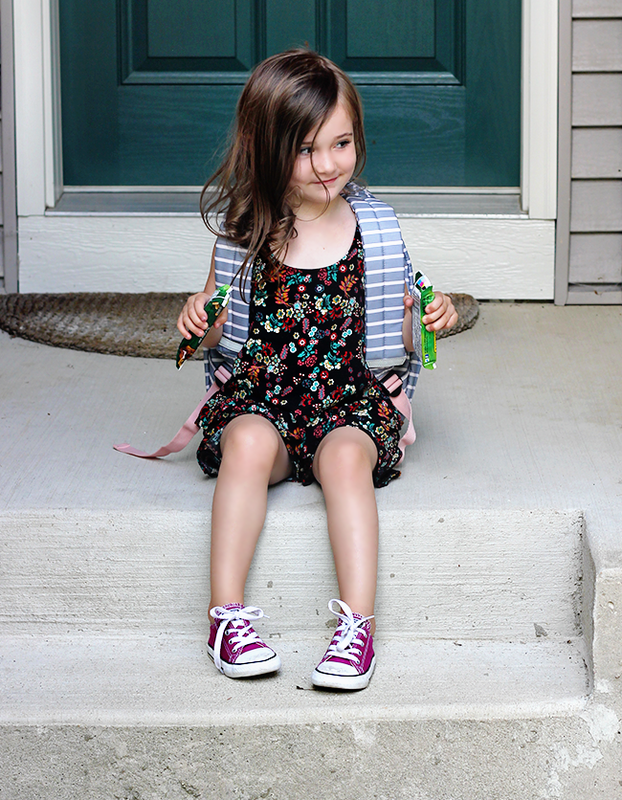 While we’re certainly no experts when it comes to back-to-school, we’re learning a lot as we go. 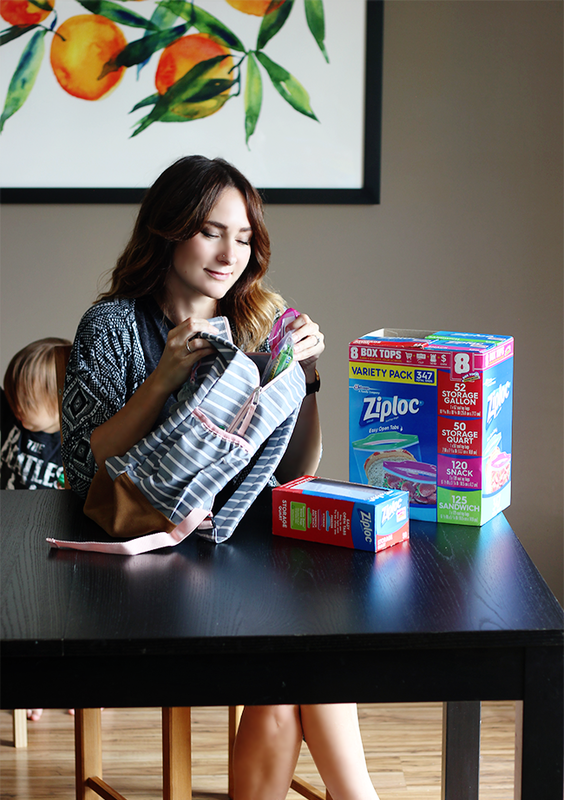 And from our own experience, as well as talking to friends who have years of back-to-school seasons under their belts, we’ve discovered some ways to make the transition easier on everyone. Today I thought I’d share some of these tips and tricks with you guys, in hopes it helps with your kids as much as it’s been helping with ours. 1. Get back to a routine early. We are admittedly a pretty unstructured family in terms of schedule (when you work from home and your husband works on the road for a band, you don’t have much of a choice! ), and we thrive on the go-with-the-flow type of vibe, which has especially been our motto this summer. But with Essley heading back to school in early September, we’ve started to establish more of a routine once again. 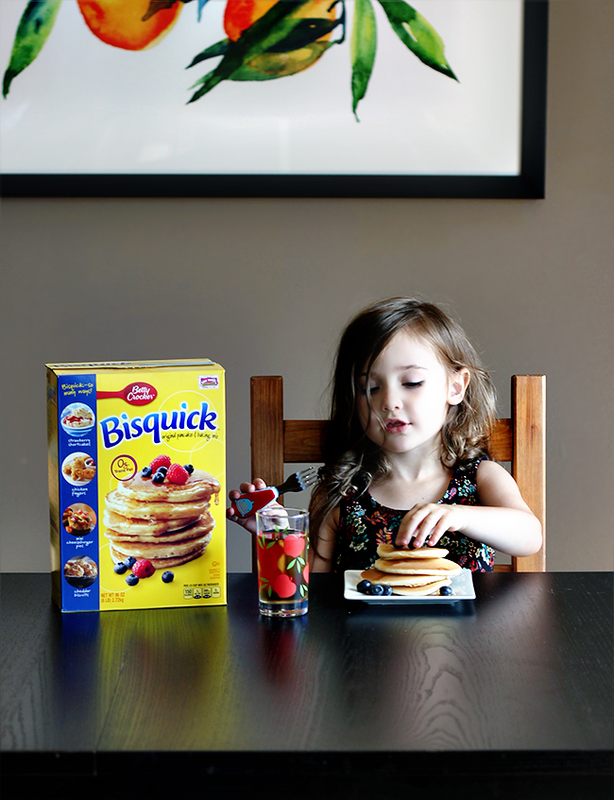 We’ve been firmer about her getting to bed on time (and have been easing into an earlier bedtime), waking up on time (because like her parents, this girl is not a morning person), and eating breakfast right away. And while Essley has been in several activities throughout the summer, we’ve been trying to create schedules on the days she doesn’t have anything going on as well. This will make the sudden change back to structure feel less harsh, for all of us. 2. 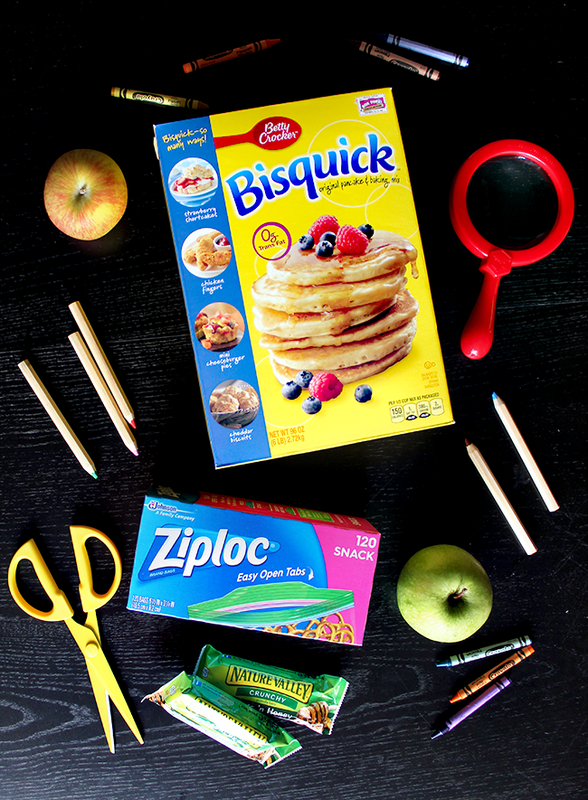 Stock up on items for before-school breakfasts and school snacks/lunches in advance. We’ve already gone to Costco for our favorite school year staples, which include Betty Crocker Bisquick Pancake Mix (pancakes are Essley’s favorite breakfast), Nature Valley Oats’n Honey Crunchy Granola Bars (these are Essley’s favorite snack to bring to school), and Ziploc Variety Pack (which has every size I need for her snacks, back-up outfits, etc. to keep things organized in her backpack). This alleviates the pressure of having to rush for food/kitchen items last minute, and ensures you have enough to last you awhile. 3. Buy and organize school supplies in advance. Just as getting food supplies ahead of time takes away that last minute pressure, so does getting school supplies early. I’m in the process of getting Essley’s supplies together and organized right now, so it will be one last thing on my list when the first day of school arrives. 4. Have breakfast ready to go in the morning. While you can’t exactly make breakfast for the first day of school now, you can plan on making it the night before throughout the school year. 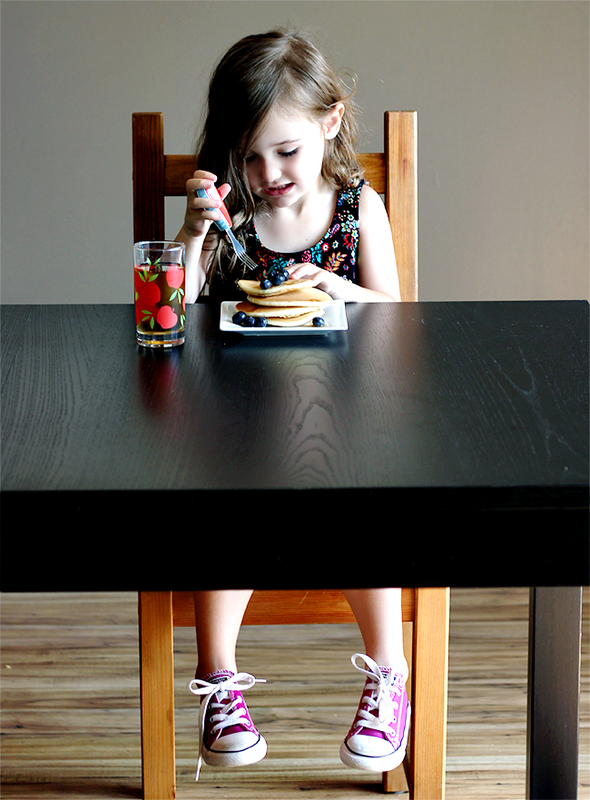 We often make pancakes – Essley’ favorite – the night before, put them in the fridge, then warm them in the oven while we’re getting ready. It saves so much time! This is especially helpful for the beginning of the school year, when you’re trying to ease back into a structured morning routine. 5. Purchase items with Box Tops to help your school. This is such a great way to jumpstart the new year in a positive way, by getting your kids involved in something that helps raise money for (and brings really wonderful classroom benefits to) their schools. We’ve been stocking up on General Mills products with Box Tops at Costco (see #2! ), where they happen to be running a really cool program and contest called the Inspire Imagination Box Top program. 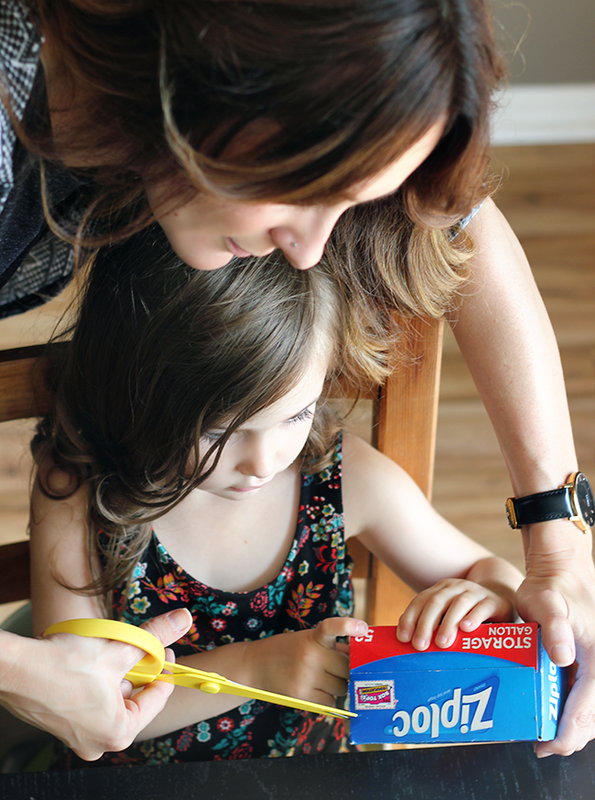 To enter, you just snap a photo and post to Instagram (or tweet on Twitter) about how Box Tops for Education inspires imagination in your kid (for Essley, it’s always about art and more school art supplies! ), follow @BTFE on Twitter or Instagram, and share with hashtag #InspireContest. 3,000 Costco members will each win 100 Box Tops for their school. Pretty cool, right? See more on this awesome back-to-school program here (and at the end of this post*). 6. 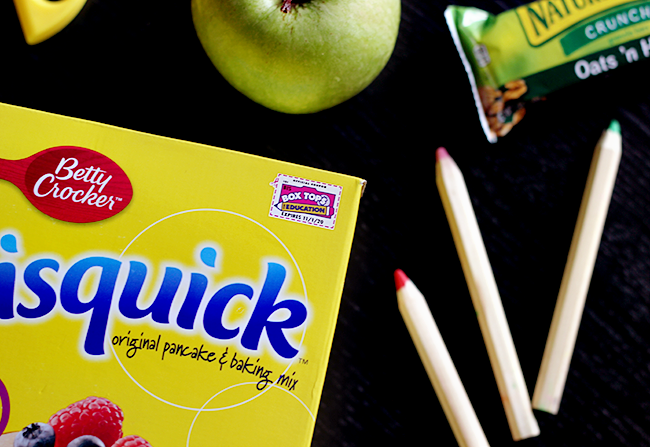 Pack snacks in your kids’ backpacks. 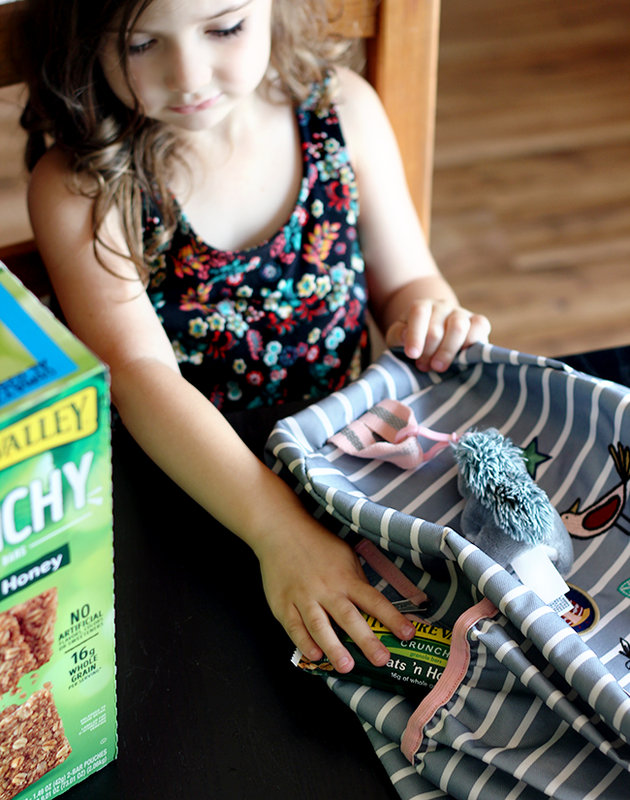 A few friends have told me that one less obvious challenge for their little ones when they head back to school is the issue of not being able to grab a snack every time they get hungry like they get used to at home over the summer. To make this a little easier, they suggested packing an easy snack (our favorite is Nature Valley Granola Bars and an apple) that they can munch right after school. We’ll definitely be doing this for Essley this year. 7. Take a first day of school photo. This is a great way to make a big deal about the first day in a way that will get your child (maybe not so much if you have a teen, of course) excited and pumped for the year. We did this with Essley last year (and took one on the last day too, as seen above), and she’s already talking about how she can’t wait to do it again. Anything you can do to help your little one view the new year as something joyful and exciting (rather than stressful) will make the transition easier for them (and you!). Each box top is worth 10 cents to redeeming school when clipped from box tops products and sent to the redeeming school. Only BTFE registered schools can redeem box tops. Limit $ 20,000 per school per year for box tops redeemed through the clip program. See www.boxtopsforeducation.com for program details.